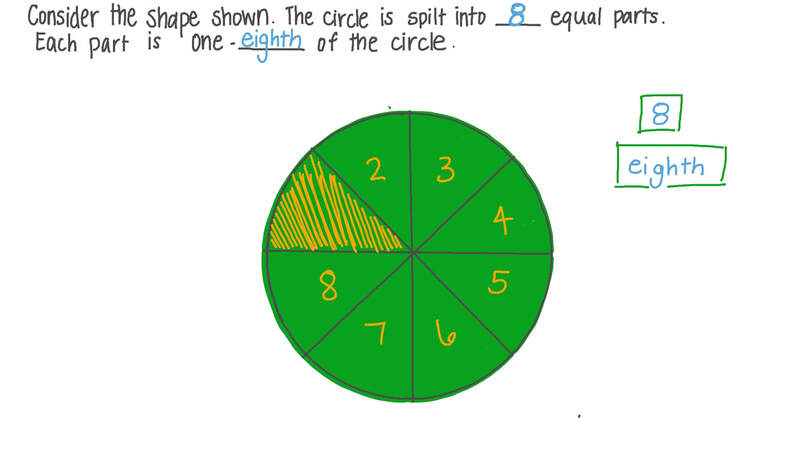 In this lesson, we will learn how to write two fractions with denominators 2, 3, or 4, which sum to make a whole, using tape diagrams or partitioning shapes. 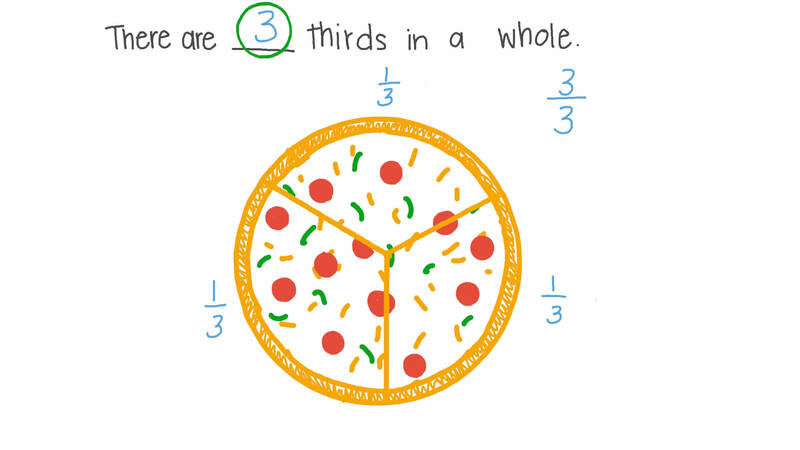 There are thirds in a whole. 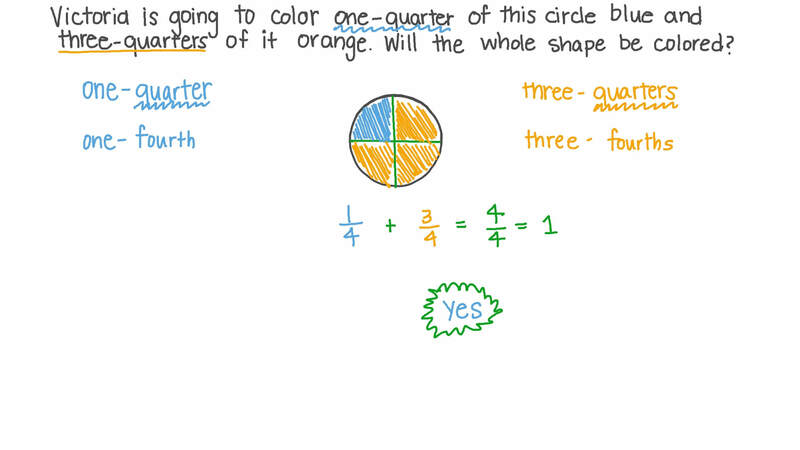 Yara is going to colour one-quarter of this circle blue and three-quarters of it orange. Will the whole shape be coloured? This circle is split into equal parts. Each part is one- of the circle.